The Bird Dogs were a Huron South Dakota Rock ‘n Roll band that played for many years and in many towns throughout the Midwest. In 1962, Dennis Kuper, Terry Koch, and Lee Halvorsen started the Bird Dogs playing their guitars in garages, local dance halls, and student gatherings anywhere they could. Adding instruments and voices throughout the years, other Bird Dogs were Joe Gibson, Terry Rathbun, Craig Andersen, Sherwood Moore, and Bob Paulsen. In 1965 the group began touring regularly and became a fixture in those grand old rock halls Ruskin Park, Lane, Blue Dog Inn, Groveland, Island Park, and, Miller, De Smet, Kennebec, Huron, Mitchell, Chamberlain, western Minnesota and many, many more venues. The Bird Dogs won a 1966 Midwest Battle of the Bands in Iowa and went on to cut an original “45 record” at Iowa Great Lakes (IGL) recording. 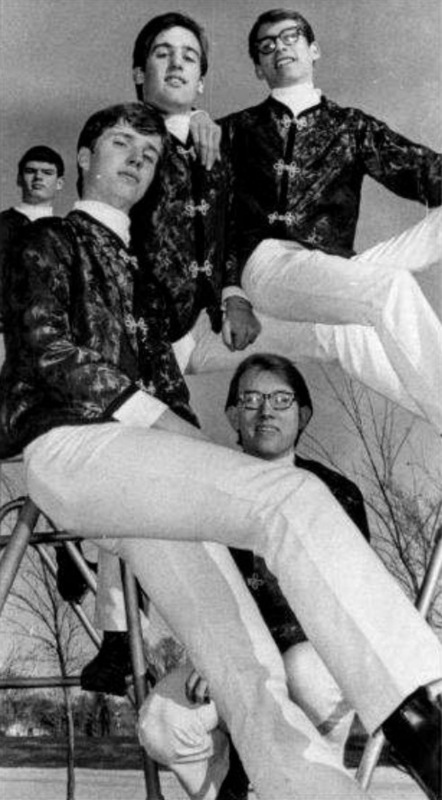 The group disbanded in 1967 as college, Vietnam, and other careers called.